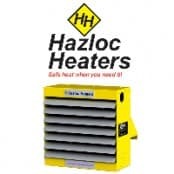 Hazloc Heaters are manufacturers of industrial and explosion proof hazardous area heaters suitable for use in hazardous areas and extreme duty locations. 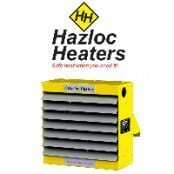 Hazloc explosion proof heaters are able to offer a frost protection and hazardous area heating solution that is safe, reliable and accurate. For over 10 years Hazloc have been providing industrial heating solutions for non-hazardous area and harsh working environments. 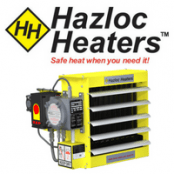 Hazloc Heaters for explosive atmospheres are suitable for use in USA, Canada, Russia and Europe with international hazardous area certifications including ATEX, IECEx, EAC Ex and CSA for both gas and dust atmospheres. These hazardous area heaters are able to provide a gentle heating, air warming and freeze protection in hazardous areas (gas or dust atmospheres). 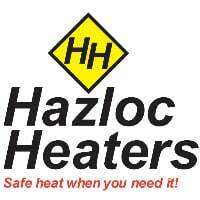 The Hazloc explosion-proof heater range consists of the AEU1 and XEU1 series. Hazloc AEU1 is suitable for use in Europe, Russia, Kazakhstan and Belarus while Hazloc XEU1 is suitable for the USA and Canada as well as Russia, Kazakhstan and Belarus. The latest development in the Hazloc range of explosion-proof heaters is the HUHU2 series of heat-exchanger unit heaters. 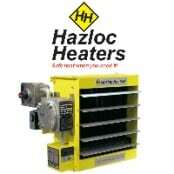 Hazloc Heaters recently introduced the second generation HUH2 series of heat-exchanger unit heaters. Suitable for hazardous areas and harsh working environments the Hydronic Unit Heaters are specifically designed for rugged industrial applications such as in steam, hot water, glycol or other fluid circulating heating systems. Hazloc HUH2 series is available for pressures and temperatures up to 400 psi and 500 °F respectively in single-pass and multi-pass core configurations with multi-pass units greatly improving performance characteristics when used with liquids. There are 6 different sizes of the HUH2 model with both single-pass and multi-pass configurations and 20 model options to meet the application and users requirements. 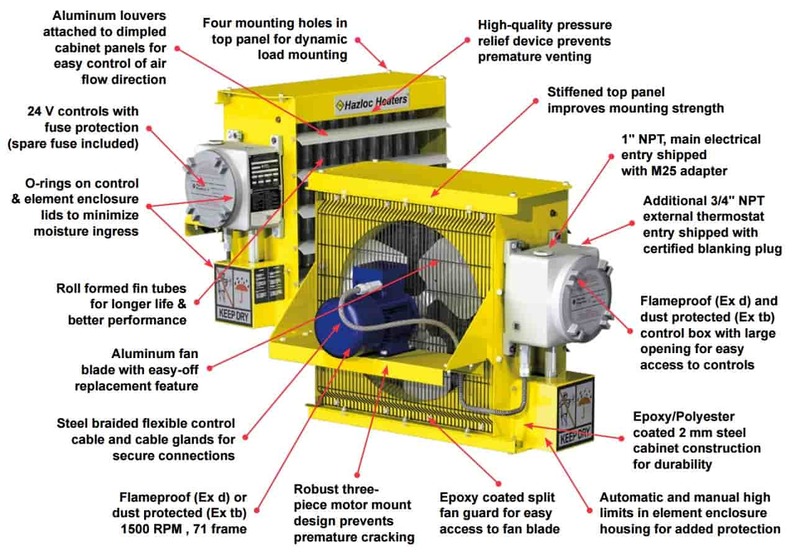 Explosion-proof heaters are ideal for use when specific explosive gases and dusts maybe present and are designed to withstand difficult operating conditions in hazardous and heavy industries. 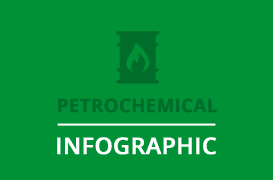 Common applications include paint storage areas, chemical storage areas, oil/gas rigs, sewage treatment plants and petrochemical industries. 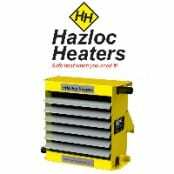 Hazloc Heaters provide explosion-proof heaters that are available in different sizes and frequencies depending on the application and worldwide location. Applications : Mud Tank Building, Boiler Packages, Service Rigs, Drilling Rigs, Paint Spray Booths, Offshore Cabins & Containers. Vision – The Hazloc vision is to be the market leader by providing reliable, cost effective industrial heating, ventilation and supporting products delivered on-time with zero defects. Education – Hazloc Heaters is uncompromising in its approach to education and believe that by participating in continuing education programmes, a thorough understanding of technology is gained. This education enables the communication of any advances in in industry trends, new products or technical changes to existing products. Quality – Hazloc Heaters holds as ABSA quality control programme certificate of authorisation that recognises the fact that the company complies with the provisions of the safety codes act.